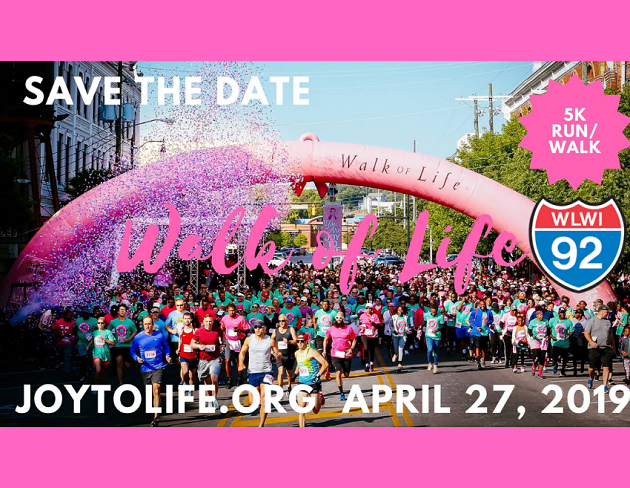 Soon, Joy to Life will once again welcomes thousands to its annual Walk of Life in downtown Montgomery! Save the date, Saturday, April 27th! You may ask, what or who is Joy to Life? As described on the organization’s website, “The Joy to Life Foundation is a non-profit organization founded in 2001. Our mission is to provide free mammograms and other breast cancer screenings when necessary to medically underserved women in Alabama, provide limited grants when needed, build and support breast cancer awareness among all Alabamians, and promote over-all health, well-being, and education throughout the state. Festivities will kick off on Friday, April 26th at Riverwalk Stadium. This is where you’ll find the packet pickup expo during the day (more info to come), and that night join us to PINK OUT THE PARK with our Montgomery Biscuits! Walk of Life participants will receive a discount on game tickets. Below, watch video from the 2018 start line! if you haven’t already registered as an individual participant or with a team, we invite you to join your friends from I-92 WLWI! Just click here. Thank you.